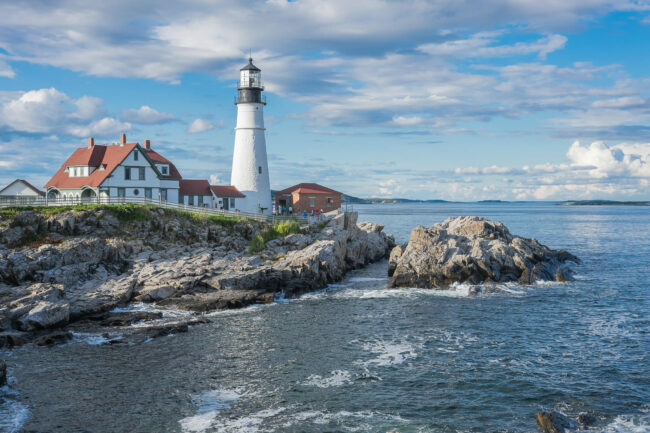 Directions: In the south of Portland, Maine (USA), drive along the Shore Road. You can't miss the spot. This headlight is iconic of Maine and New-England. Since it is close to the sea, different seasons can bring different photographic opportunities. Under a storm you can create dramatic pictures, whereas under the sun it can be idyllic. I wanted to photograph the lighthouse at night and the gates were closed. How is everyone else getting night and sunrise shots? Do you hop the fence or is there a place to drive to that you hike back up the coast?